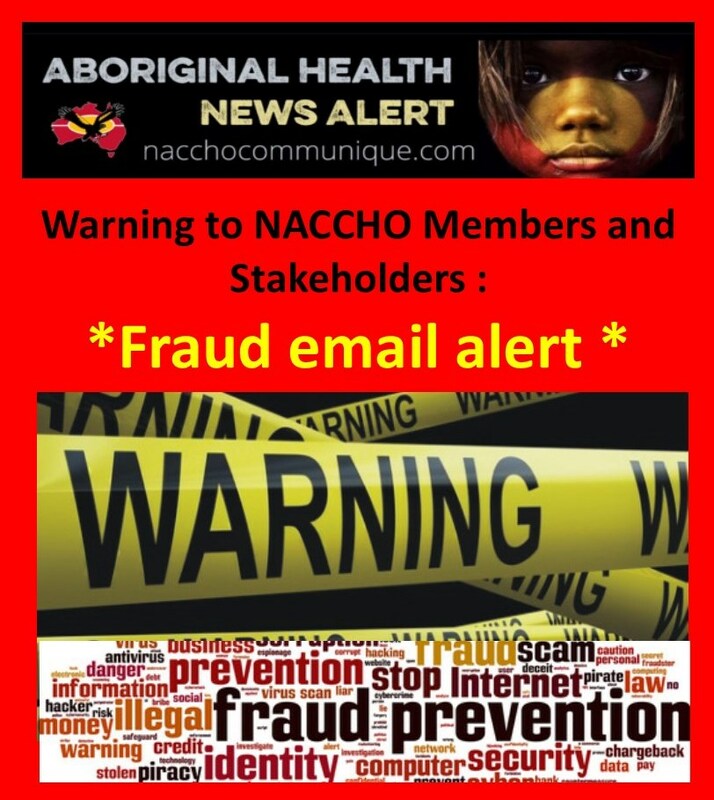 It has recently been brought to our attention that individuals claiming to be from NACCHO have been directly emailing people in Indigenous health organisations, asking to get in touch so they can share some documents. The emails appear to have originated from generic Gmail accounts belonging to Stephen Ronald (stephenronald424@gmail.com ), Joel Matthew (joelanilmathew@gmail.com) and Catherine Jackson (cjackson19880@gmail.com) none of whom are associated with NACCHO. Please disregard any electronic communications from anyone claiming to be from NACCHO, unless the email has been sent from the @naccho.org.au domain. If you continue to receive suspicious requests for information or contact from organisations or people claiming to be from NACCHO please contact Joe Kobier (joe.kobier@naccho.org.au).